Did you know that routine maintenance is the most effective way to extend the life of your furnace? What would happen if you never changed the oil or got maintenance on your car? Well just like your car, your Baltimore area home’s furnace requires regular maintenance and service to operate safely and efficiently. A properly maintained furnace in the greater Baltimore area can operate safely and efficiently for up to 10-20 years. Also, regular furnace tune-ups can improve your indoor air quality and ensure that your furnace is running as efficiently as possible, which can save you money on your utility bills. When your furnace is working at full capacity you’re using less of your power source. When you’re not getting proper airflow, the compressor or other parts are dirty, something isn’t calibrated correctly, or a part is about to go up, the rest of your furnace can run longer and work harder to keep your home warm. So when your furnace is working efficiently, it doesn’t have to work as hard or often, and utility costs will be lowered. Have you ever worked on a group project where one team member isn’t pulling their weight? It means the other team members have to work harder to make sure the job gets done. The same principle applies to your furnace. If there is a part that is dirty or isn’t working at full capacity, other parts in your furnace work harder to maintain your home’s temperature. When the other parts have to work harder, that means they will wear out faster and have to replaced sooner. 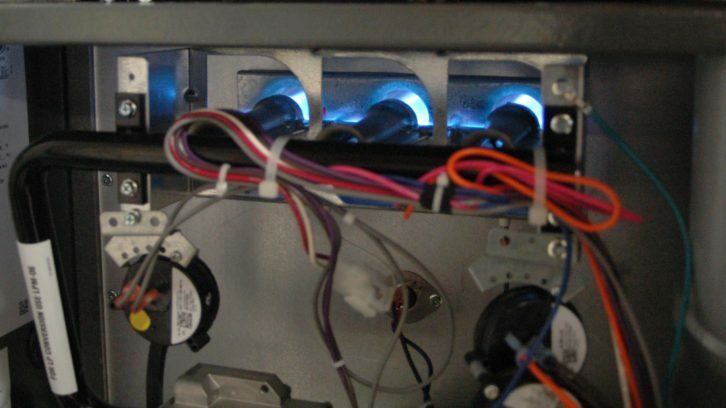 Sometimes a series individual parts can cost as much as a new furnace, making it necessary to replace your entire system instead of repairing it. Don’t you wish that one slacker team member who isn’t pulling their weight would get replaced? We know what happens when they don’t, the rest of the team members get burned out. It’s the same for your furnace–you don’t want to other parts to fail prematurely because they are pulling the weight for a dirty or inefficient part. A tune-up inspection gives the technician an opportunity to discover small problems with your furnace before they turn into an expensive repair or replacement. Did you know our 80-point tune-up includes 29 safety inspections? Every furnace maintenance session includes a review of important safety features and possible problem areas. This way, you can be sure that your family is safe as you heat your Baltimore area home. Once maintenance is complete, your furnace will be working at top performance. With all the important parts lubricated, adjusted, tuned-up and inspected, your furnace will have improved capacity, which means it will have an easier time meeting your home’s heating needs. Every furnace maintenance tune-up from Powell and Turner includes an 80+ point inspection. We are confident that you will not find a more comprehensive inspection and tune-up in the Baltimore Area! Let our experts clean, inspect and maintain your investment. We recommend an inspection of the furnace in the fall season to ensure that your furnace is ready for the Baltimore, Maryland area winter. We want to make it easy for you to keep your furnace running at peak performance, so Powell and Turner offers maintenance plans to all of our Baltimore, Maryland area customers. Find out more about our maintenance options for the Baltimore area, or schedule your tune-up today!